Park Forest, IL—(ENEWSPF) — Park Forest’s Main Street Nights 2017 concludes on Wednesday, August 9 with a bang. Grammy nominated Dave Rudolf will take the stage at 6:30 p.m. performing some serious tunes, some crazy tunes, and some very funny tunes. Whatever it is it will be great fun! At dusk, the movie ‘Secret Life of Pets’ will be shown. You’ll find additional details about Main Street Nights in the ‘Arts & Entertainment’ section. The Park Forest American Legion is holding the Officer Timothy Jones Inaugural First Responders Street Dance fundraiser Saturday, August 12. 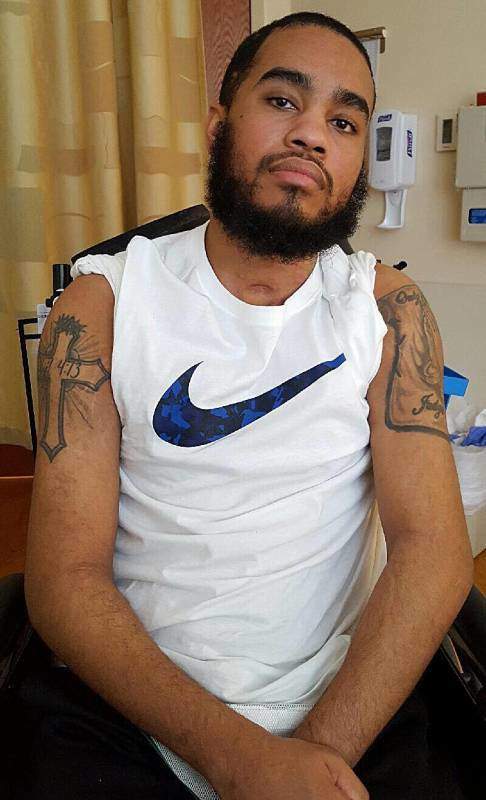 Officer Tim Jones was shot on March 19 and left the rehab facility where he had been recovering, heading for his parents’ home, on May 26. All proceeds from the event will help in the continued rehabilitation and recovery of this brave Park Forest Officer. Additional details about the fundraiser can be found in the ‘Arts & Entertainment’ section. The Village of Park Forest Board will meet on Monday, August 14 at 7 p.m. The meeting will be held at Village Hall, 350 Victory Drive. Residents are encouraged to attend. Board meetings air live on cable access channels (Channel 4 for Comcast subscribers and Channel 99 for AT&T subscribers). Notable Chicago LGBTQ community leaders are hosting a benefit concert for Artem Kolesov, a 23-year old gay man who caught the world’s attention when he came out earlier this year on YouTube as part of a Russian “Children-404” project, which invites teenagers to share their stories and discuss LGBT issues in Russia. In most of their photos and videos, participants shield their identities by holding up a sign in front of their faces, but Kolesov did not. While his courageous move caught international attention, it also means that he can never return home. His dream, therefore, is to insure his safety by obtaining U.S. citizenship. Kolesov now lives in Chicago, where he is first violinist in the Yas Quartet, which is in residence at Roosevelt University’s Chicago College of Performing Arts. Earlier this summer, Kolesov was honored recently at the Logo TV Trailblazers Awards; last year his ensemble took third prize in the Chamber Division at the Schoenfeld International String Competition held in Harbin, China. The concert “From Russia with Love: A benefit concert for Artem Kolesov and other LGBTQ refugees fleeing persecution” will enjoy a performance by Kolesov and the YAS Quartet and others. All proceeds will benefit legal costs associated with Kolesov’s pursuit of U.S citizenship; American Friends of Rainbow Railroad; and Chicago LGBT Asylum Support Program (CLASP). Saturday, August 26, 2017 @ 7 p.m.
To purchase tickets visit: https://community.centeronhalsted.org. Monday, August 7 at 11 a.m. – Sunrise Story Time — Join us for a delightful morning of stories! Weather Permitted, Join us out doors for Story Time in our Beautiful Butterfly Garden. Monday, August 7 at 3:30 p.m. – Do It Yourself Designs — Create, learn, and engage in new activities with teens! Monday, August 7 at 6:30 p.m. – Mindfulness Mondays — Join us as we learn how to become more tranquil and mindful in our lives. Tuesday, August 8 at 10:30 a.m. – Meet the Gardener– Join our resident gardener Victoria in the Library garden. Identify specimens in our plantings. Harvest flowers and herbs for future PFPL programs. Learn to spot fellow visitors including native butterflies, honey bees, and birds. Tuesday, August 8 at 12:30 p.m. – Jewelry Making — Dazzle your wardrobe with a one of a kind creation. For ages and 12-under. Tuesday, August 8 at 4 p.m. — Color-Rama! Coloring Circle – Our grown-up coloring circle is the perfect way to step back from the stress of everyday life and enjoy some relaxation! All supplies will be provided. Wednesday, August 9 at 12:30 p.m. – Comic Creation — Be inspired to become a graphic novelist/comic creator! Each week explore ways to create comic strips, books, graphic and more. Wednesday, August 9 at 3 p.m. — Teen Movie Marathon: “Dawn of the Planet of the Apes” — Prepare for the third movie of the “Planet of the Apes” trilogy, “War for the Planet of the Apes” (in theaters July 14, 2017), by watching the first and second film in Teen Tech Zone. Wednesday, August 9 at 4 p.m. — Color Me Happy Adult Coloring — Our grown-up coloring circle is the perfect way to step back from the stress of everyday life and enjoy some relaxation! All supplies will be provided. Wednesday, August 9 at 6:30 p.m. – Writers’ Workshop — Want to improve your skills as a writer? Interested in sharing your ideas or written work with others? Come to the Park Forest Library and join other creators in our bi-monthly writers’ group, led by James Pressler, for all your writing wishes. Writers of all skill levels are welcomed. Thursday, August 10 at 11 a.m. — PETE THE CAT Story Time — Join Us as we CELEBRATE…. PETE THE CAT! Enjoy Stories and a light craft ALL about Pete. Thursday, August 10 at 1 p.m. – Drop In Craft — Drop in to kids’ zone and see what we are creating today! Friday, August 11 at 12:30 p.m. – Lego Builders — Drop in and see if you have what it takes to make the best Lego creation. Friday, August 11 at 3:30 p.m. – Reader’s Theater — Join our kids ‘zone Theater Group! Learn how to put on skits, musicals and more! Bring your energy. We’ll provide the rest! For ages 12 and under. Saturday, August 12 at 11 a.m. – Unplugged Game Day — It’s Game Day! Find out how much fun board games can be. Come and test your skills on our “Unplugged” games. Ages 12 and under. Monday, August 7 at 7 p.m. – Adult Writing Group – For beginning and experienced writers. Register. Monday, August 7 at 8 p.m. – A Brief Intro to NaNoWriMo – Learn about National Novel Writing Month in November and how the library will support writers who want to participate. Register. Tuesday, August 8 at 7 p.m. – Get Set for the Solar Eclipse – Learn what solar eclipses are and how to view them safely. Register. Thursday, August 10 at 6:30 p.m. – CRAVE (CRete Area Voracious Eaters) – Prepare a dish based on this month’s theme of summer favorites, then share samples and recipes with club members. Thursday, August 10 at 7 p.m. – Knot Another Ball of Yarn! Crochet Group –Beginners, bring an H-size (5mm) crochet hook and Medium 4 weight yarn in white or any pastel color. For teens and adults. When U.S. President Woodrow Wilson declared war on the German Empire April 6, 1917, one Lincoln Park neighborhood family with DePaul University ties was changed forever. Now 100 years after the U.S. joined the Great War, known more commonly as World War I, the story of the Ward family — and their ties to the university, St. Vincent de Paul Parish and Chicago — is the subject of a new exhibit titled “Glimpses of the Great War.” The exhibit, which is open to the public through August, is on the first floor of the John T. Richardson Library, 2350 N. Kenmore Ave. on DePaul’s Lincoln Park Campus in Chicago. The final summer concert at Ravisloe will celebrate the IPO’s 40th anniversary with music from the 40’s. Summer evening small ensemble concerts held at the beautiful and historic Ravisloe Golf Course, 18231 Park Avenue, in Homewood. Special on site pre-concert offerings to be announced soon at www.ipo.org. A la carte dinner available on site in the Bunker Bar & Grill from 5-7PM or show your Ravisloe tickets for 10% food and drink at the elegantly trendy La Voute in La Banque Hotel, 2034 Ridge Rd., just 5 minutes from Ravisloe. On Wednesday, August 9, Ben Clark and Friends return to the courtyard to help IPO celebrate its 40th anniversary with a selection of jazz standards from the swinging 40’s! Single tickets are $30 in advance or $35 at the door if available. Individual student tickets, $10. Tickets can be purchased here or by phone, 708-481-7774. The Nathan Manilow Sculpture Park at GSU and Limelight Catering share a passion for sustainable green practices. On Saturday, September 9 from 3:30 – 6:30 p.m., they unite to bring the Southland an event like none before–a farm-to-table dinner in the midst of the prairie among giant contemporary sculptures. Honorary Chairs Gary and Denise Gardner (of Know Your Chicago) and the Nathan Manilow Sculpture Park Board invite you to Sculpture, Wine, and Dine, a fundraising event to sustain the park’s community and educational programs. The event is hosted by Wayne Johnson, known for NBC 5’s Wayne’s Weekend and winner of The Today Show’s “Domestic Diva” contest. The Nathan Manilow Sculpture Park, lauded as one of the top ten outdoor sculpture parks in the world, presents significant large-scale public art, inspiring visitors to experience art and nature in new and unexpected ways. The NVAM is proud to present its upcoming exhibition,’ Portraits and Memories: Legacies of Service’ by Chicago-area artist Jeanine Hill-Soldner. ‘Portraits and Memories: Legacies of Service’ will be on display beginning Tuesday, August 22th through Saturday, October 28th, 2017 with an opening reception Friday, October 25th from 6 p.m. to 9 p.m. The exhibit will showcase two series of oil paintings: ‘Portraits of American Veterans,’ and ‘Memories of an Era: Reflections of Our Time.’ ‘Portraits and Memories: Legacies of Service’ presents a unique perspective on an experience of military service that is often overlooked–that of the spouse, parent, sibling, or child of an active duty service member or veteran. The juxtaposition of veteran portraits with scenes of family life highlights an integral aspect of military culture that is rarely explored. Jeanine Hill-Soldner grew up in a military family. Her father, Sgt. Maj. Dan L. Hill, was a 30-year U.S. Marine Corps Veteran who served in WWII, Korea, and completed two tours in Vietnam. After he passed away, the artist felt compelled to create work that honored his service and experiences along with those of other military veterans and members of their communities. Personal stories and memory are integral to her work as Hill-Soldner links the experiences of veterans and those of their loved ones through a poignant visual program. 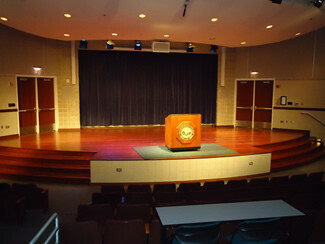 For more information about the National Veterans Art Museum, visit www.nvam.org, or call 312-326-0270. The Park Forest American Legion will hold a street dance fundraiser to benefit Officer Tim Jones. The event will take place on Saturday, August 12 at 1631 South Western Avenue in Chicago Heights. The Officer Timothy Jones Inaugural First Responders Street Dance will begin at 9:00 a.m. with a “First Responders Waterball Competition.” 4:00 p.m. will feature “The Tim Man.” At 5:00 p.m., the look for “The Fabtones,” at 7:30 p.m. “Richy Z,” and at 9:30 p.m. “Bernie Glim & Country Roads.” Officer Tim Jones was shot on March 19 and left the rehab facility where he had been recovering, heading for his parents’ home, on May 26, 2017. All proceeds from the gathering will aid in the continued rehabilitation and recovery of Park Forest Police Officer Timothy Jones. There is a $10.00 donation for the event. SSC alumnus Tom Dreesen is putting together an unforgettable show titled “From Here to Hollywood” to be held in the Kindig Performing Arts Center on the college’s main campus in South Holland. This special one-night show will take place on Saturday, September 23, 2017, at 7:30 p.m. in the college’s 400-seat Kindig Performing Arts Center. General Admission Tickets are just $30 and there are limited $500 Premier Row Sponsorships available including 10 tickets with an after-show Meet & Greet. In this unforgettable performance, comedian Tom Dreesen will take you from his childhood of shining shoes in bars in his hometown of Harvey, Illinois, hearing Frank Sinatra on the jukebox, to one day touring the nation as Sinatra’s opening act, flying in his private jet and staying up with Frank till dawn, night after night. He takes you to Frank’s last performance and the last song he ever sang and then to his last days on earth. Dreesen’s keen insight to arguably the greatest career show business has ever known, and the lessons he learned from the legendary star, promises to move the audience! Dreesen is a proud Thornton Junior College (TJC) alumnus with appearances on the Tonight Show plus guest hosting for David Letterman. The show is sponsored by – and proceeds to benefit – South Suburban College Foundation. (Tickets are tax-deductible.) Purchase tickets online from www.ssc.edu/foundation or call 708-596-2000 x2463. The Kindig Performing Arts Center is located at 15800 S. State Street in South Holland. Tall Grass Arts Association is calling for entries for its upcoming juried exhibition entitled ‘MARK of the HAND.’ The exhibit will be held September 29 through November 4. Entry deadline is Friday, August 11. From prehistory, humans have told their story by literally leaving marks with their hands. Direct mark making and hand forming are the theme of the ‘MARK of the HAND’ art show. ‘MARK of the HAND’ will include two and three-dimensional art which celebrates the legacy of traditional, pre-1800 art tools and processes. The artwork will show evidence of being made directly by the human hand. Media includes (but not limited to) painting, drawing, original printmaking (etchings, engravings, woodcuts and lithographs), sculpture, ceramics, metals, fiber, glass, and wood. Cash “Awards of Excellence” will be given. Curated and juried by Gail Otterson, MFA and Bill Wild, BA, GIA. Please Note: ‘MARK of the HAND’ will not include photography or digital art. As a complement to this handmade show, Tall Grass Gallery will host a digital art show in April 2018. Additional information can be found here. There is an entry fee of $25 for the submission of three artworks. Submit entries through EntryThingy: http://www.entrythingy.com. For additional information or questions about Tall Grass, call 708-748-3377 or visit www.tallgrassarts.org. USG’s exhibit 16 X 16 opens on Wednesday, August 16 and runs through Saturday, September 9. A reception will be held on Saturday, September 9 from noon to 3 p.m. Both the exhibit and reception are free and open to the public. Gallery hours are Wednesday & Friday from noon to 4 p.m., Thursday from noon to 7 p.m., and Saturday from 11 a.m. to 4 p.m. For additional information, call 708-754-2601 or visit www.unionstreetgallery.org. Edgar’s Place Coffeehouse celebrates its 25th Anniversary with an outdoor Acoustic Mini Festival on Saturday, August 26th starting at 1:00 p.m. Edgar’s Place is located at the Unitarian Universalist Community Church of Park Forest, 70 Sycamore Drive in Park Forest. Bring lawn chair and blankets. Great indoor venue in case of inclement weather. $15 Donation for the entire day! For additional information, call 708-481-5339 or visit www.uuccpf.org. Want to have a great time? Want to hear some great music? Want to laugh, too? Come catch the 15-time nominated National Association of Campus Activities Award winner, Gold Record, Grammy nominated Dave Rudolf, singing tunes that have been featured on such diverse Radio programs as Dr. Demento, NPR, WXRT, and more. You’ll hear some serious tunes, some crazy tunes, and some very funny tunes. Whatever it is it will be great fun! Park Forest’s Youth Commission will host its 4th Annual Carnival on August 10 through 13 in DownTown Park Forest (corner of Indianwood Boulevard and Orchard Drive). There will be games, rides, food and lots of fun for the whole family. Additional information can be found here. GSU’s School of Extended Learning, in partnership with Robinson Engineering, Chicago Southland Chamber of Commerce, and Orland Park Area Chamber of Commerce, will present two workshops: Increase Your Revenue with Strategic Planning on Friday, August 18 from 9 a.m. – 3 p.m. and Exceptional Customer Service Starts with You on Friday, August 25 from 9 a.m. – 4 p.m. at Robinson Engineering’s Frankfort, IL location. For workshop details and registration, please visit the School of Extended Learning and click Business Strategy and Customer Service. Online college programs are a great way for today’s busy people to complete or earn a degree. To find an online college program in Illinois, visit http://www.onlineschools.org where you will find a compilation of every college program offered online in Illinois offered on a full or part-time basis. To register, new students must have the Illinois State transfer form if coming from a school within Illinois, three proofs of residency, and a birth certificate. Qualifying documents for registration should include two from this list: current lease (signed and dated), current mortgage, or current 30-day utility (gas, water, electric) bill; and one from this list: homeowners’/renters’ insurance, auto insurance, SSN/disability letter (date and address), Department of Children and Family Services voucher, or current payroll/unemployment stub. Students must have the physical and immunization forms in compliance with state requirements. Physical examinations must be dated within one year at the time of registration. Kindergarten, sixth grade, and new students will not be allowed to register or start the school year without a current physical examination and an up to date immunization record. The registration fee is $50. Other fees include $10 student enrichment, $10 field trip, and $10 for gym suits for seventh and eighth grade students. Fees may be paid with cash, money order/cashier’s check, or credit/debit card. Personal checks will not be accepted. Registration for fall 2017 is open at Prairie State College (PSC). Credit courses begin Monday, August 21. Non-credit courses include a variety of single-day and multiple-session offerings that begin throughout the fall. Both credit and non-credit courses are listed in the fall class schedule, available on the PSC main campus, located at 202 S. Halsted St., Chicago Heights. The schedule also is available at area public libraries and online at prairiestate.edu. To register for credit courses, new students must complete an enrollment application in person at the college or online. Current students can register for credit courses online or in person. Through Friday, Aug. 11, Enrollment Services is open Monday through Thursday, 7:30 a.m. to 7 p.m., and the college is closed on Fridays. Beginning Monday, Aug. 14, Enrollment Services will resume regular business hours of 8 a.m. to 7 p.m., Monday through Thursday, and 8 a.m. to 4:30 p.m. on Friday. Students can register for non-credit courses online or in person. To register online via Instant Enrollment, go to prairiestate.edu and select How To Register for Non-Credit Courses from the A-Z Index. Another option is to complete the registration form available online at prairiestate.edu/noncredit or in the back of the printed course schedule. Students also can register for non-credit courses in person at the Matteson Area Center (MAC), located at 4821 Southwick Drive in Matteson, or in the Enrollment Services Office on the PSC main campus. Through Aug. 11, the MAC is open from 7:30 a.m. to 9:30 p.m., Monday through Thursday. Open Registration for the Fall 2017 Semester at SSC is in progress. Fall classes begin Monday, August 21st at the college’s Main Campus and Oak Forest Center. The schedule is available online at www.ssc.edu. SSC will also host a College-Wide Open House on Thursday, August 3rd from 4:30 p.m. – 7:00 p.m. featuring tours, demonstrations, and information about the college’s wide range of options, programs and student services. Prospective students 18 and over will be entered in an Open House Raffle for: 1st prize $300 Visa Gift Card, 2nd prize $200 Visa Gift Card, 3rd prize $100 Visa Gift Card. Representatives from our new Latino Help Center will be available to offer excellent customer service to prospective and current students and parents by providing interpretation (English/Spanish). SSC is now offering a Free Class to first time credit students who reside within South Suburban College District 510, qualify for our Lake County, IN or Chicago regional rates or work for an employer within South Suburban College District 510. The Free Class applies to tuition only, and does not apply to courses of more than 5 credit hours. Individuals must not be receiving any state or federal financial aid or employer subsidies. More information is available at www.ssc.edu/freeclass. Our Dual Credit option saves parents and students time and tuition money. Your child can earn credit for both high school graduation and college credit at the same time. Dual Credit at SSC is completely free and is a great opportunity for your child to get a jump start on their college education. Dual Credit is only available for specific high school courses. For more information, please contact your child’s high school counselor. Students who wish to use financial aid as payment for fall classes must have an official high school or GED transcript on file. Official transcripts must have a school seal and graduation date on them. Transcripts can be hand-delivered to the Admissions Office or mailed to: Office of Admissions (15800 South State Street, South Holland, IL 60473). If a transcript is hand-delivered it must be in the original sealed, unopened envelope. Prospective students should complete the Online Application Form at www.ssc.edu to begin the enrollment process. New students will receive an SSC email account and a “My SSC” Username & Password via email which will allow access to the online schedule and class registration. The My SSC Portal also allows students 24-hour access during college closed periods. Contact the Office of Admissions at 708-210-5718 for enrollment information. Midwest Pesticide Action Center is holding a $55 rain barrel fundraiser in partnership with RainBarrelFundraising.com. Each rain barrel includes a leaf and mosquito filter basket, an overflow adaptor, a spigot and an overflow hose AND a downspout pipe to direct the water to the barrel. The Garden series continues on Saturday, August 12 at 10:30 p.m. at the Wetlands Discovery Center, 30 North Orchard Drive. This month’s topic is Heirlooms: Old-fashioned and still beautiful too. Plants, vegetables, and herbs that have stood the test of time and are still the best of the best. The Gardening series is sponsored by the Village of Park Forest, Park Forest Environment Commission and Thorn Creek Nature Center. The event is free and open to the public. Nominations are now being accepted for the Park Forest Sustainability Award. Nominations accepted for any of the following including general appearance of property, rain barrels, rain gardens, raised planter beds (for raising produce), solar panels, minimal use of lawn chemicals (verified) and many other award options. Download form with complete details. Form Applications are due by September 1 to the Department of Public Works, 350 Victory Drive. On the Fall Color Hike learn why leaves change colors and what trees do to prepare for the long months of winter. Discover clues to wild animals’ identities and behavior by trails and trails in Wild Animal Tracks. Make your own track replica. On Vixen’s Trek you are the fox following your daily routines on Thorn Creek trails. Or visit the Historic Farm in the woods to explore an early 1900’s woodland farm. Groups can also arrange for a naturalist to come to your location for programs such as Wild Animal Tracks, Web of Life, Woodland Wildflowers, Soils, History of Thorn Creek Woods, and the like. The new partnership has already collaborated in sponsoring three programs: the Learn 70 Birds by Spring class, which runs from January through March; the Great Backyard Bird Count Open House that was held in February; and the Build a Gourd Birdhouse sessions to be held in March. The Park Forest Health Department Nurses Plus offers affordable school physicals required for children entering preschool, kindergarten, sixth grade, and ninth grade. Physical exams are conducted by a family nurse practitioner. Dates available are: Aug. 9, and Sept. 9. Times vary by date. For an appointment, call 708-748-1118. Parents should bring immunization records to the appointment. The Medical Cannabis Education Association will meet at UUCC at 12 noon on Sunday, August 6. This group meets every first Sunday of the month at UUCC. An all ages drum circle led by Jovani Robinson will take place at UUCC on Saturday, August 12th from noon to 1:15 p.m. Adults $10, Children, $5 (price adjustments for families of more than 4 kids). For additional information, call 708-755-3577 or visit www.uuccpf.org. Athletes from across the Midwest will launch World Roller Derby Week, Aug. 13-19, on the 82nd anniversary of Chicagoan Leo Seltzer presenting his creation, Roller Derby, at the Chicago Coliseum Aug. 13, 1935. The inaugural World Roller Derby Week will include a public birthday celebration, a retro roller derby game played with the rules and uniforms of the 1970s, and a donor pledge campaign for a national roller derby blood drive. One of only three major sports invented in the United States, roller derby has inspired generations of athletes and fans. Currently, almost 2000 women’s, men’s and junior leagues are skating, competing and giving back to their communities worldwide. The kick-off event for World Roller Derby Week will be a public Roller Derby Birthday event Aug. 13 from 12:30-2:00 p.m. at the place where the sport was invented, Coliseum Park, 1513 South Wabash. Athletes from roller derby organizations across Chicagoland will be invited to skate in uniform, while junior skaters will serve birthday cake. Donor registrations for “First Blood,” a roller derby themed blood drive will be part of the celebration. A commemorative roller derby double-header game played under the 1970s rules and the classic uniforms of the Midwest Pioneers and the Chicago Westerners, and a Junior Roller Derby game under the most modern rules will be the highlight of the celebration, Aug. 19 from 2-6 p.m. at Fleetwood Roller Rink, 7231 W Archer Ave, Summit, Illinois. The Park Forest Youth Commission will host the 18th Annual Youth Day Back 2 School Celebration on Saturday, August 19 from 11 a.m. to 3 p.m. at the DownTown Village Green (Cunningham & Main Street). The event will include a school supply giveaway (supplies are limited). Registration form must be completed onsite to receive supplies. There will also be live music, arts & craft vendor, games, food, basketball tournament& more! The REGAL Women’s Conference will be held from 9 a.m. to 3 p.m. on August 19 at the Holiday Inn Chicago Matteson Conference Center, 500 Holiday Plaza Drive. Park Forest Commission on Human Relations is seeking nominations for the Good Egg Award. The Good Egg award recipient is an individual who has gone beyond the call of duty to be of service to others. The award recognizes those who have made an extraordinary commitment to improving the quality of life in their communities through human relations and human rights advocacy. To request a nomination form, call Evelyn Sterling at 708-283-5621 or email [email protected]. The deadline for nominations is Friday, August 25.